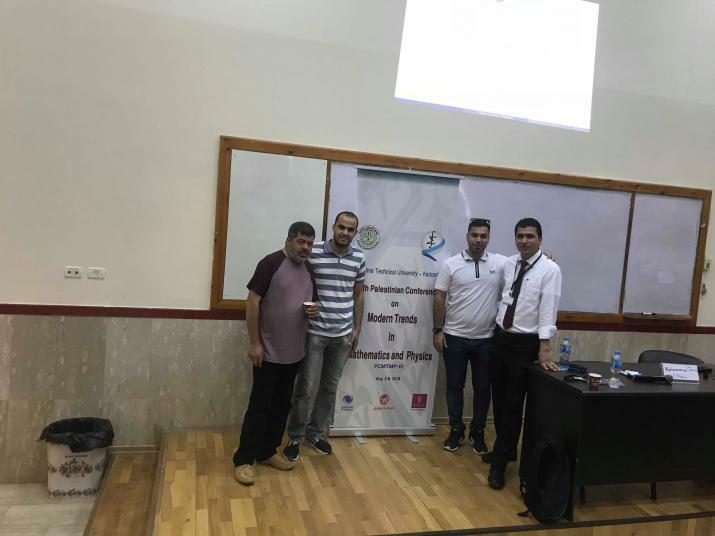 The Department of Mathematics at Birzeit University participated in the Sixth Palestinian Conference on Modern Trends in Mathematics and Physics (PCMTMP-VI), held at Palestine Technical University Kadoori between August 5-8, 2018. The conference discussed the recent trends in mathematics and physics by hosting distinguished local and international scientists, researchers, faculty members, and students. The conference, in its sixth year, included experts who were part of intensive research seminars in mathematics, statistics, and physics, and discussed the present situation of scientific research in Palestine, especially in math and physics. The department was represented by its Chair Abdelrahim Mousa, as well as professors Mohammad Saleh, Hassan Abu Hassan, and Hind Sweiss. A number of master’s students in the Program of Mathematics also attended, including: Sundos Khalil, Fareeda Ghazawna, Ibaa’ Moghrabi, Kathem Badran, Jamil Rimawi, Marwa Qadah, Israa’ Abu Baker, Lina Sawalma, Shahd Hirzallah, Walaa’ Yaseen, Fidaa’ Shuman, and Sima Abul Rub. 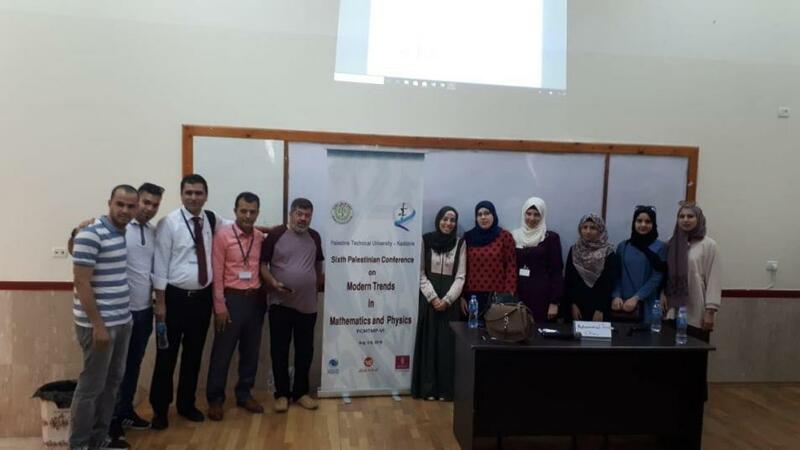 The scientific committee of the conference announced that the Seventh Palestinian Conference on Modern Trends in Mathematics and Physics (PCMTMP-VI), which will be held in 2020, will be held at Birzeit University.